These symptoms are the result of an underlying condition known as whiplash. Whiplash takes place when you car is impacted by another vehicle and your neck (that’s primarily comprised of soft tissue) sustains a thrashing. Its aftermath is capable of leaving victims with pinched nerves and misaligned vertebrae that comes with complications such as fatigue, headaches, and blurred vision. 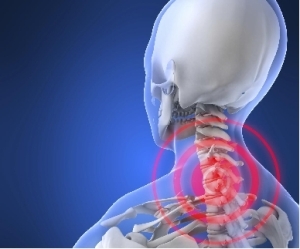 Whiplash victims are a prime candidate for the therapeutic intervention from our Doctor. He is a certified professional that will use the proper techniques too gently restore your neck to its proper curvature and free pinched nerves. Once this is done, your body can start the natural healing process. If you’ve recently been involved in an auto accident and are suffering from whiplash, contact Injury Chiropractic Glendale before symptoms worsen.